Silver TLT Basketweave Polished Mosaic Floor and Wall Tile, it's easy to add a splash of contemporary styling to your decor. 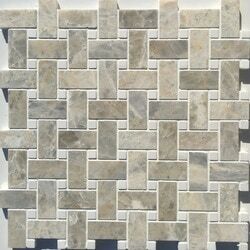 This attractive tile features chips of natural marble tile in a basketweave pattern with white square dot in it on a 12 in. x 12 in. mesh sheet that makes installation a much easier process. 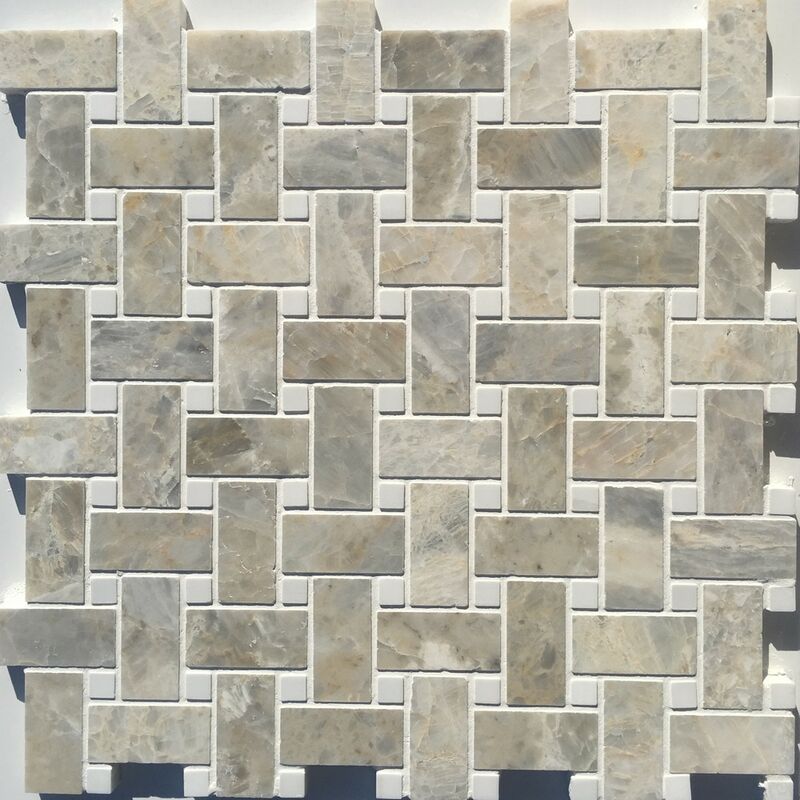 With trendy multi color shades of natural marble in a polished finish, this tile creates a distinct pattern for install in kitchens, bathrooms and other residential or commercial spaces. Note: Inspect all tiles before installation. Natural stone products inherently lack uniformity and are subject to variation in color, shade, finish, etc. It is recommended to blend tiles from different boxes when installing. Natural stones may be characterized by dry seams and pits that are often filled. The filling can work its way out and it may be necessary to refill these voids as part of a normal maintenance procedure. All natural stone products should be sealed with a penetrating sealer.